23 March 2009: Mayors have led cities large and small in actions to tackle global warming at local level. These efforts have been linked in the United States since 2005 and since 2008 in the European Union too. In the US this was a bottom-up intervention, which sought to connect cities to the Kyoto Protocol even though the Bush administration refused to sign it. 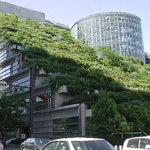 An initiative by Seattle mayor Greg Nickels in 2004 called on mayors across the country to action to coincide with the February 2005 date when the Kyoto Treaty came into legal force in those nations, which signed it. 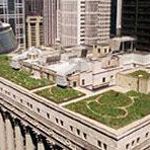 This attracted an immediate response and led to the adoption by the US Conference of Mayors in June 2005 of a climate protection agreement calling for a seven per reduction by 2012 from 1990 emissions levels. By then, there were already 161 signatories. The agreement also calls on Congress to pass emissions reduction legislation and commits mayors to press their state government and the federal government to enact policies, which will contribute to meeting the Kyoto target. The agreement has been supported since 2007 by the Mayors Climate Protection Center, which was established to help meet the needs of mayors who signed the agreement notably for guidance and assistance. By March 2009 there were 935 signatories from cities, which contain around 84 million people in all. This is a high proportion of the urban population in the US though some notably high carbon footprint cities remain absent. These include sprawling places Oklahoma City, North Las Vegas, Glendale, Houston and Corpus Christie. In the EU area local government action to reduce carbon emissions in their localities has been linked up within several nation states and supported by EU programmes but it was not until 2007 that a process began to evolve a more structured connectivity on the issue. Following the launch in 2007 of the Leipzig Charter on Sustainable Cities the European Commission launched a top down initiative in 2008, which drew initial support from just over 100 mayors. The Covenant of Mayors initiative, which commits signatory cities to exceed the EU wide governmental commitment to a reduction of 20 per cent in emissions by 2020, attracted widespread support in its first year. At a signing ceremony in Brussels in February 2009 during the annual EU Sustainable Energy Week events it was revealed that leaders of over 370 cities and towns across the EU had now signed up. All of these must produce a sustainable action plan by early 2010. Arrangements have been put in place for the external evaluation of the cities performance. The European Commission attempted to create a pot of funding for city initiatives to cut their emissions as part of the EU wide stimulus package, which takes effect during 2009 but the national governments deleted the budget line. The European Investment Bank (EIB) is proposing a specific loan programme for city initiatives. Although a modest 15 million euros is planned for 2009 they have urged city regions to take opportunities in their existing programmes for renewable energy and sustainable transport. In February 2009, for example, the EIB approved a 200 million euro loan to Poitou Charentes Region in France for its plans to install photo voltaic panels on public, commercial and industrial buildings. At its annual Forum on 13 March 2009 the EIB confirmed the urban emphasis of its efforts to assist in measures to combat carbon emissions. In the US, there has been no structured link between the Mayors climate protection agreement and the Federal Government. This may change in 2009 under the Obama administration. The December 2009 UN brokered summit in Copenhagen on successor global agreements after Kyoto expires may be a critical factor. The signatory cities have pledged to adopt climate friendly policies across all their activities. Some cities do have structural arrangements with the state administrations. Monitoring and external evaluation of the performance of mayors and their cities is patchy in the US but most have integrated the commitment into policy making and practice across all their organisation’s activities. Land-use planning is very significant in US cities because of the low-density detached housing development which was generally approved in the second half of the 20th century. Several cities have focussed on their vehicle fleets and switched to electric, gas and clean diesel powered alternatives. Signatory cities are raising their building standards for new buildings though the issue of existing buildings remains a problem. The agreement expects signatory cities to only purchase equipment and appliances, which meet the standards of the USEPA Energy Star rating. It is the less measurable elements, which are most important and challenging in both continents. Winning over public opinion to drive individual behaviour change is an on-going priority for mayors and administrations. Increasing recycling rates and opportunities is often seen as key to this. The US city of Rochester, New York State, and its immediate suburbs occupy about 160,000 hectares, or the same land area as London, England. The difference is that Rochester’s urbanized core contains 735,000 residents versus 7.6 million in London. London, for its part, has less than two-thirds the population density of Tokyo.